Beautiful edge of town location with views of Burandt Lake. 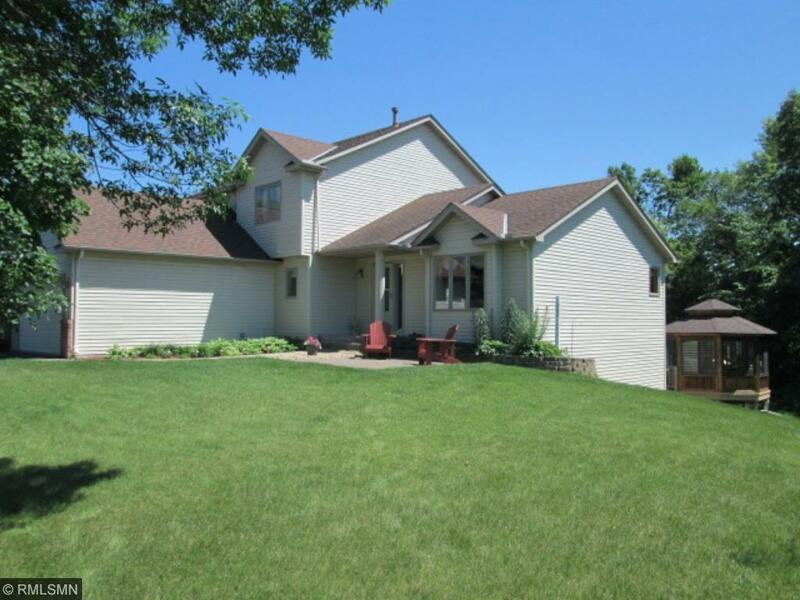 This meticulously maintained 4 bedroom, 4 bath home features a quiet end of the road location. 2 full baths, 1 3/4 and a 1/2 bath, as well as 3 bedrooms on the same level. Relax in the heated pool or the mosquito free gazebo. Large private lot with fenced garden. Lots of space in the 3 car attached garage. The lower level features a huge family room with a gas fireplace and partial kitchen. Take a look today.